De’Aujanae Marcelle-Renae Graham was born on January 6, 1999 to parents Nashaun Leatrice Graham and Steven Anthony Vorise in San Diego, CA. She accepted Christ as Lord and Savior at The Rock Church in 2009. She started her formal education in San Diego at Fulton Elementary and later transferred to Las Vegas, NV where she attended Garside Middle School and was a cheerleader at Canyon Springs High School. De’Aujanae, affectionately known as Nae-Nae, loved all types of music and she really thought she could sing. She was always the life of the party and lit up any room she walked into with her keen and witty personality, plus her beautiful and contagious smile. At 4:35 a.m. on Sunday, April 7, 2019, in the quietness of Palomar Medical Center, God said, “well done my child, take your rest”. With her mother, aunt, and uncle by her side, she bowed her quiet spirit and slept peacefully to the other side. De’Aujanae was preceded in death by her grandfather Russell Graham; great-aunt Connie Graham; great- uncles Vernon and Irving Hollins II; and maternal great-grandparents Irving Hollins, Sr. and Ola M. Hollins. 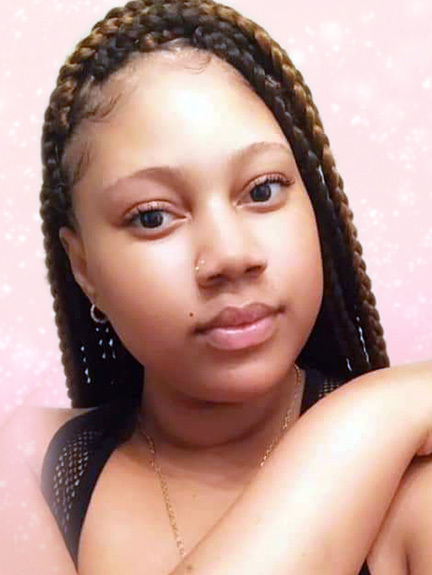 De’Aujanae leaves to cherish her memory; mother Nashaun Leatrice Graham of San Diego, CA; father Steven Anthony Vorise of Norcross, GA; one sister Deijanelle Elkins; three brothers De’Zhaun Junior of Las Vegas, NV, KeyMari and DeMarious Vorise of Norcross, GA; aunts Erin Shine (Duane), Cheakae Vorise, Judy Guzman, and Atia Huey all of San Diego, Yolanda Fenderson-Graham and Andrea Bogan of Las Vegas, NV; uncles Damon Graham (Micole), Lee Swanigan, and LaRue Bankhead of San Diego; grandmothers Walthea “Lynn” Graham of Vista, CA, and Mary Ann Bankhead of Escondido, CA; great-aunts Karin Hollins of San Diego, Brenda Hayes (Larry), Pamela Graham of Olathe, KS, and Doris Graham of Higginsville, MO; adopted sister Shameka Jackson of Vista, CA; special friend Mr. James Green of Las Vegas, NV; adopted uncle Ron and Aunt Helen Edwards of San Diego. Also a host of cousins, other relatives, and friends.